Do you know the secret to creating recurring riches online? The one that stuffs money into your pocket, and rope in – sales after sales – like clockwork? Yep, you have probably guessed it: it’s in having a responsive mailing list. Internet users always act on impulse when they surf on web sites. I bet there’s a high chance the people who visit your web site now will forget you and your web site 10 mouse clicks later. And when these visitors leave, they won’t come back unless they remember to. IF they ever remember at all! 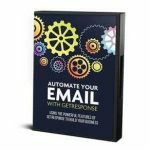 You see, just having an auto responder, landing page and opt-in form all set up doesn’t mean that it is a surefire guarantee to list building success. That is just the starting point. The HARD part… is building your responsive mailing list. 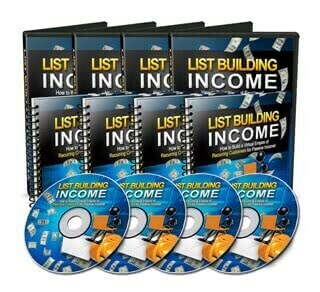 In List Building Income, you will discover MULTIPLE list building techniques that you can pick, choose, mix, and match… and use! Most manuals and courses on the same subject out there often touch on one or two specific list building methods. They might work for you. Or they might not. But I present all the gamut in these power-packed, “you-can-absorb-overnight” videos! Time to raise the notch… invest in paid list building methods for faster results! 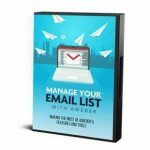 There are over 5 paid methods discussed in this module – all of which I have tested and am using for my own list building campaigns. Discover 4 easy ways to make small ‘tweaks’ to your list building system to see significant results! You don’t have to overhaul your list building campaign and renovate all over when all it takes is some small changes on the right places! You will be filled with TONS of guesswork. Your Internet Marketing journey will be full of unnecessary trial and error. Perhaps in your effort to try saving money you opted for “cheap advertising”. And I always say “you get what you paid for”.